For those that don’t know, a Role-Playing video Game (RPG) is a type of video game where a character, sometimes within a game, gains experience through fighting monsters to become stronger, retrieve equipment and learn new skills to be able to defeat the game boss. A common feature of an RPG is quests which are given by neutral characters, grant great rewards and usually enable access to other quests. Now, the way I see it, this is very similar to a developer’s job in an AGILE environment. You start by working in a team where you do small tasks to get accustomed to the project. The more tasks you do, the better you know your code and the more you can contribute. Through each iteration, you work on a scope of requests given by a product owner (PO). Once fulfilled, the PO will give you new stories that were not accessible until then. Another common feature of RPGs are secondary quests. These quests are not related to the main scenario and thus not mandatory. However, if you decide to fulfill them, you get rewarded with different experiences and sometimes even a great set of equipment. This is where conferences come in play. Conferences are gatherings of developers and tech-enthusiasts to discuss a theme or a technology. During the conference, speakers either introduce emerging technologies or give feedback on their experience with trending ones. From there, exploring the technology further & applying it to your context or refusing your secondary quest is totally up to you. As an example, Paris Containers Day (PCD) took place, perhaps not surprisingly, in Paris on June 26th. About 300 people, including both speakers and attendees gathered at the New Cap Events Center to discuss Orchestration. The day started with a surprise keynote where an orchestra played a few pieces including Mozart, Holst & Arensky. The point was to prove that synchronization and good use of resources is at the essence of productivity. To further prove this point, one of the attendees was invited to get on stage as a conductor and to lead the group, which, as expected, turned the finest pieces of music to a disaster. 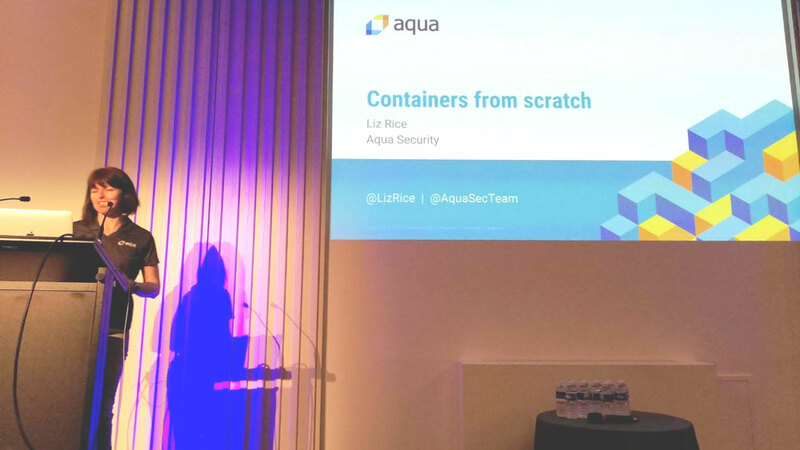 The second keynote was presented by Liz Rice from Aqua security. During this talk, Liz pointed out some of the issues brought by containers. For example, given the huge number of deployed containers, applying a patch to all of them may prove harder than expected. She also highlighted the importance of continuous vulnerability testing and the destruction of containers as soon as they are no longer needed. During the rest of the day, talks and demos were split into different tracks based on level. Attendees could choose to stick to a given track, perhaps you choose to attend advanced level talks only, or they could mix it up according to how they feel about the speaker or the topic. 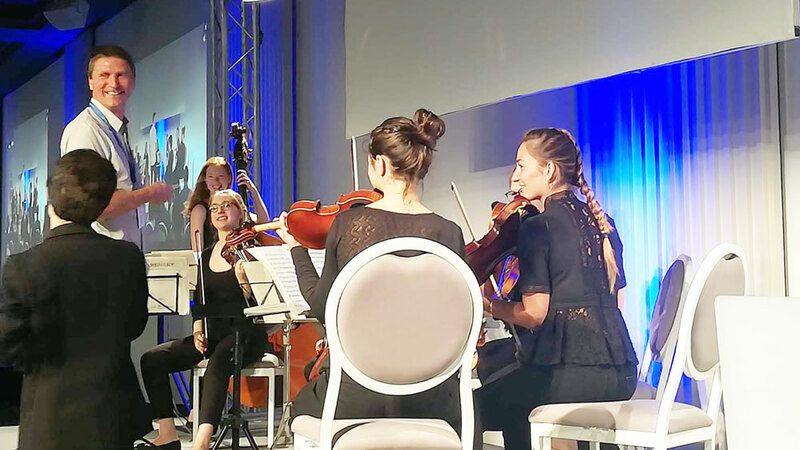 Although many technologies were presented through the event, there was a consensus that Kubernetes was at the heart of the orchestration field. 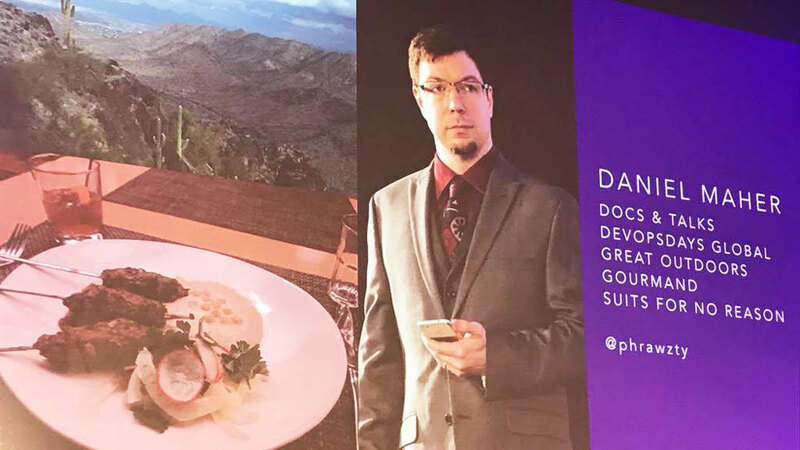 During Daniel Maher’s presentation (from Datadog), he pointed out that the adoption of orchestration systems, especially Kubernetes, was evolving faster than the adoption of containerization technologies themselves. He explained this with the fact that nowadays companies start using usually, more than just one orchestration system once they start using something like Docker. To sum up, PCD was an opportunity for Tech-enthusiasts to gather and discuss orchestration systems and containerization technologies. The event introduced different tools, some of which were still in the alpha stages (Google Skaffold). It was also, a great way to spread best practices and general health measures regarding containers (continuous testing, recycling, vulnerability checks…).